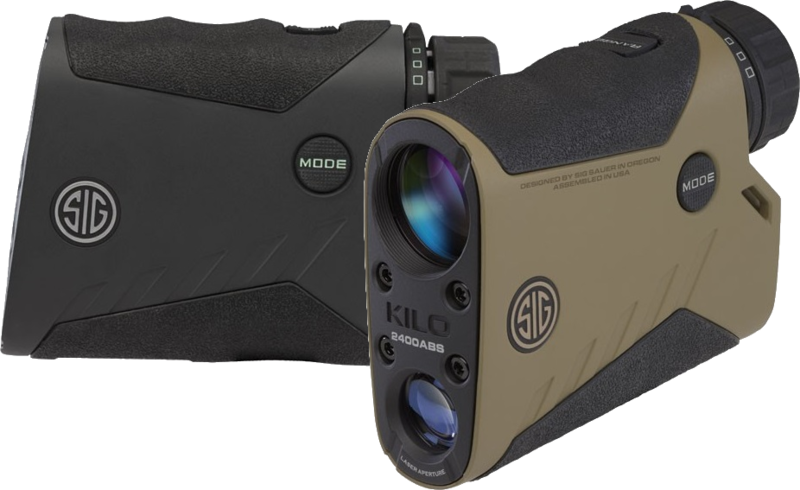 Thread: Sig Sauer Rangefinders: Kilo 2400 ABS $1699! BDX 2200 & 1800 in-stock! Last edited by plainSight Solutions; 01-06-2019 at 03:09 PM. There are still a few Kilo 2200MR's available at $699 +tax/shipping. The next batch of Kilo 2400ABS will be here in about three weeks. If you're serious about getting one, please contact me below to place your order: $1999 +tax/shipping. Good day Mr. Hrbinic, I am interested in the Kilo 2400. Do you have any instock/available? 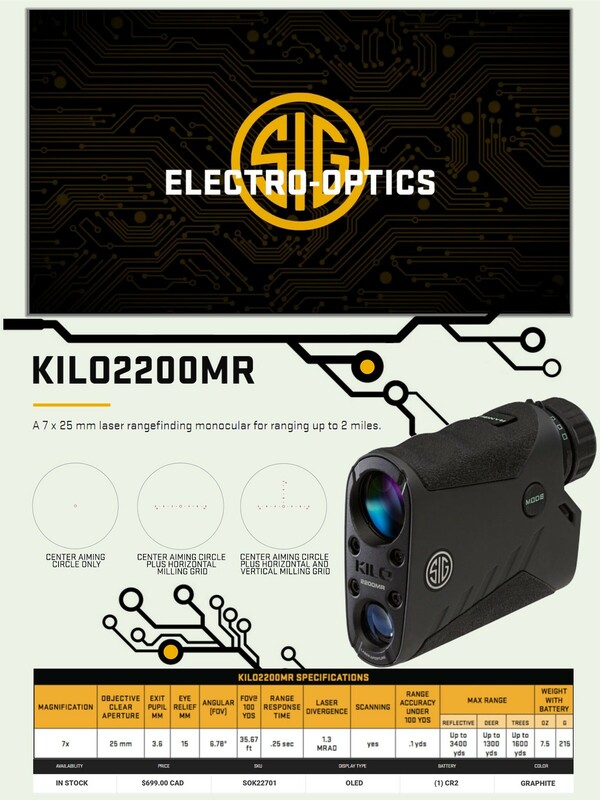 Just received a shipment of SIG Kilo rangefinders. Pick up The KILO 2400 ABS the worlds most advanced rangefinder. 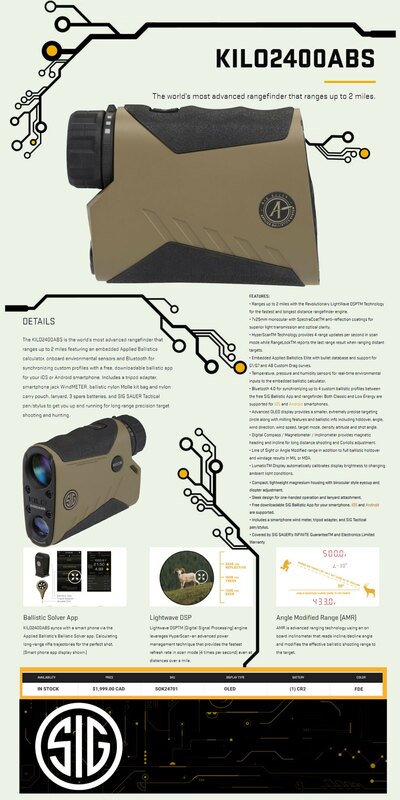 Featuring an embedded Applied Ballistics calculator, on-board environmental sensors and Bluetooth for synchronizing custom ballistic profiles. Sig Sauer Kilo 2400 ABS - only $1699!!! Sig Sauer Kilo 2200 MR - now $599!! New Sig Sauer 2200 BDX - $699! New Sig Sauer 1800 BDX - $589! I've personally spent considerable time testing, setting-up, and using the Kilo 2400 ABS and it is hands down the best, fully-integrated ballistic, atmospheric, angle, and real-time wind compensating rangefinder currently available. The BDX units offer similar capabilities, albeit to a lesser extent. I have also tested and configured the BDX scope and rangefinder combos, and they are both user friendly, and deliver one-step ballistic compensation with an illuminated hold-over dot. We expect to receive more of the Sierra 6.5-20x50 rifle scope and combos this coming Feb/March. The Kilo 2200 MR's are now sold-out. More BDX models coming in soon, including the new Sig BDX 3000 Rangefinder binoculars! BDX 1800's are sold-out and the Kilo 2400 ABS's are down to the last two at this great price!